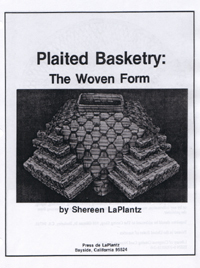 "Plaited Basketry - The Woven Form"
The definitive work on the basketry technique known as plaiting by legendary artist and basket maker Shereen LaPlantz is, once again, in print. 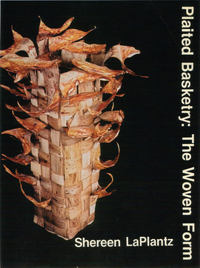 Shereen's book clears up the mystery of weaving a plaited basket. Through large, clear, detailed, step-by-step drawings, Shereen will take you through each element of laying out and forming the corners of your basket base. 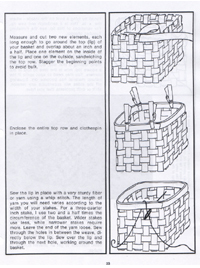 You'll easily weave up the sides of your basket from there and then finish off the top with a variety of rim styles. And then come the wonderful variations! You'll learn the basics of bias plaiting from step-by-step drawings. You'll see how to weave Shereen's famous step pyramids. 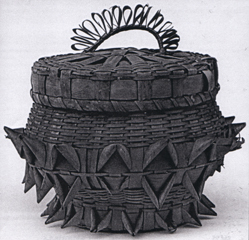 You'll weave surface embellishments into your baskets. 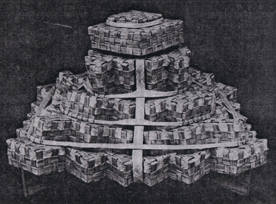 You'll put depth into your baskets with multiple layers. 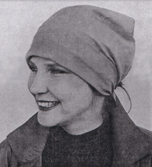 You'll experiment with various color patterns. YOU'LL LOVE HOW EASY IT IS TO MASTER THE ART OF PLAITING! 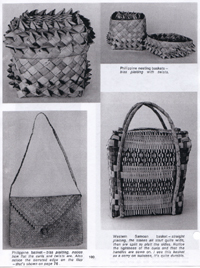 Own the reference book for plaiting that has been missing from basket making literature for a generation. 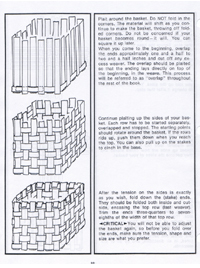 Plaited Basketry: The Woven Form is the definitive resource for the plaiting technique. 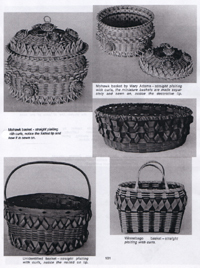 You won't find the information in this long-awaited reprint in any other basketry instruction book either in-print or out-of-print.